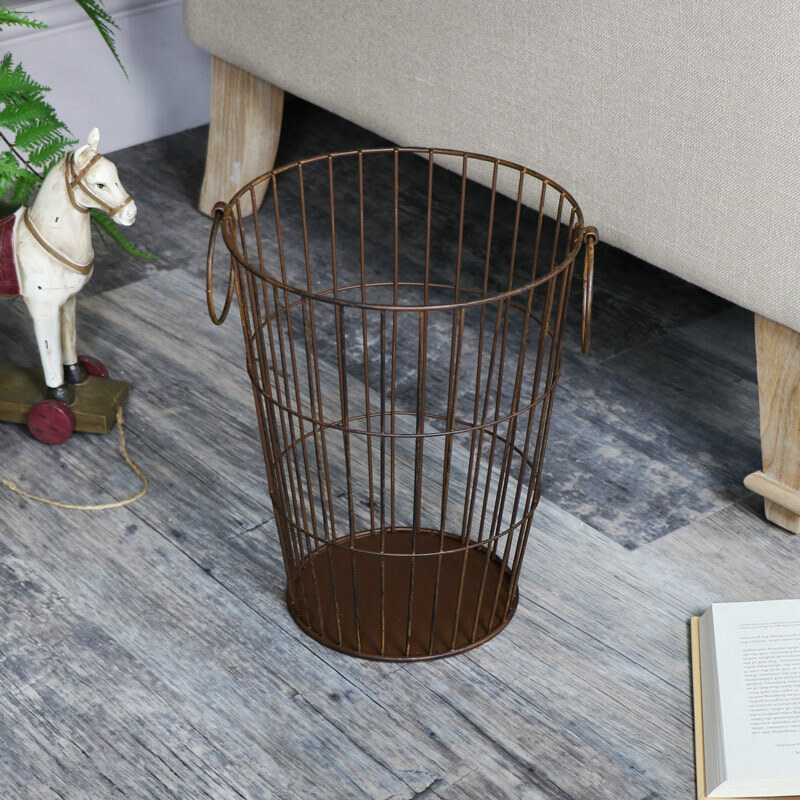 Wire metal bin with 2 drop ring handles in a stylish and rustic brown colour. Made from metal in a sturdy design with handles that allow you to move it easily. In a rustic brown finish, we alos have this handy little bin in copper and gold finish.